How to apply rights to user. For applying rights first need to create role. 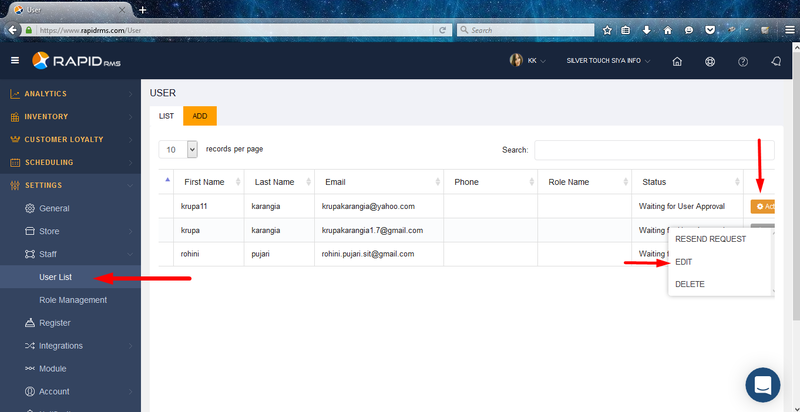 Log in with your store and go to setting module and open role management. First need to create a role. Because role is compulsory field to give rights to any user of the store. For creating role click on add button. 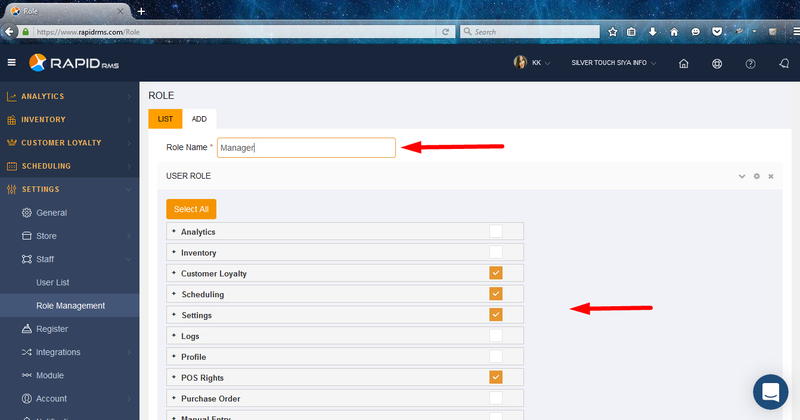 Define role name and select rights you want to give to that role. And click on save. 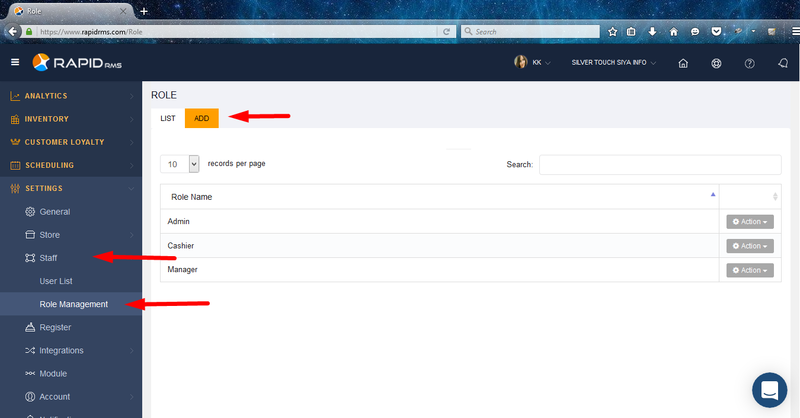 Now for give rights to the user open setting tab-> staff -> user list. In this Page, all users which are available in store would display. User whom you want to give rights open that user in edit mode. When open any user in edit mode then first tab is of profile detail. Second one is of user rights. Go to that tab and give role to the user. And also you are able to change rights of the that role rather than defined. Click on save. Added rights would apply on user when user will log in with this e mail id.